The region where the Pearl River flows into the South China Sea has seen some of the most rapid urban expansion in human history over the past few decades – transforming what was mostly agricultural land in 1979 into what is the manufacturing heartland of a global economic superpower today. In 2008, China announced plans to mesh Guangzhou, Shenzhen, Dongguan, Zhaoqing, Foshan, Huizhou, Jiangmen, Zhongshan and Zhuhai into a single megacity. A series of massive infrastructure projects are under way to merge transport, energy, water and telecoms networks across the nine cities. 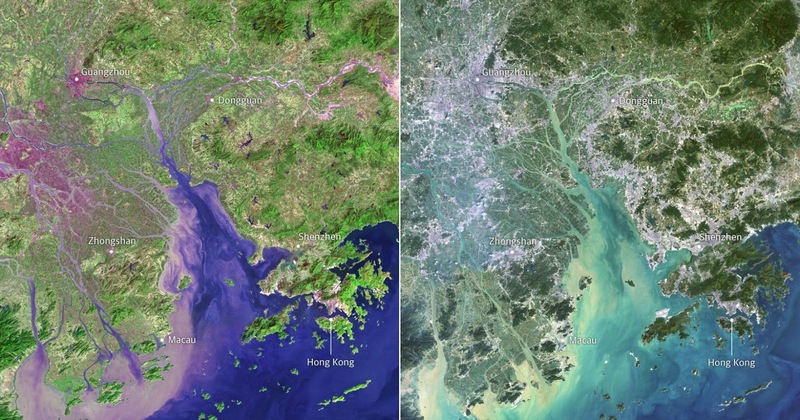 Development has been relentless, and the World Bank recently named the Pearl River Delta as the biggest urban area in the world in terms of population and geographical size. A 30-mile-long bridge and tunnel is under construction to join the Pearl River Delta metropolis of Zhuhai to the special administrative regions of Macau and Hong Kong. 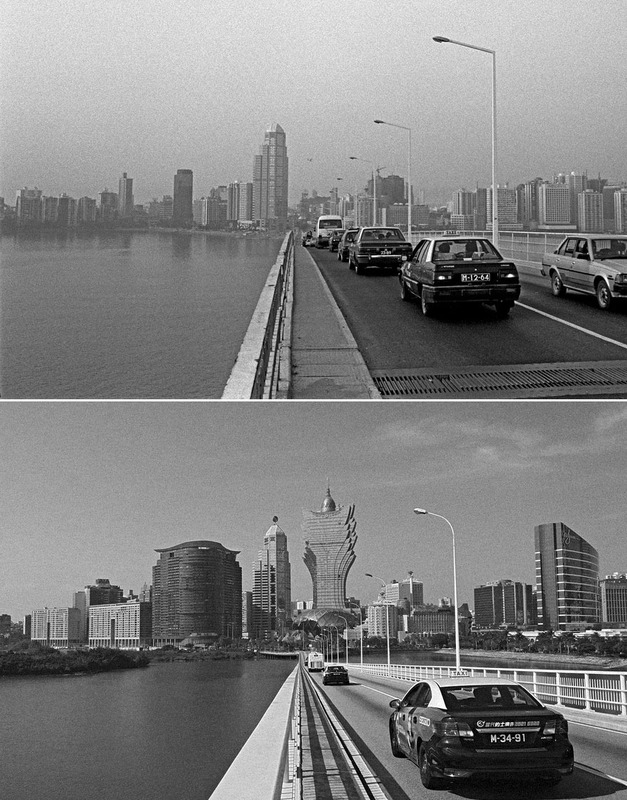 The Pearl River Delta in 1979 and 2000. 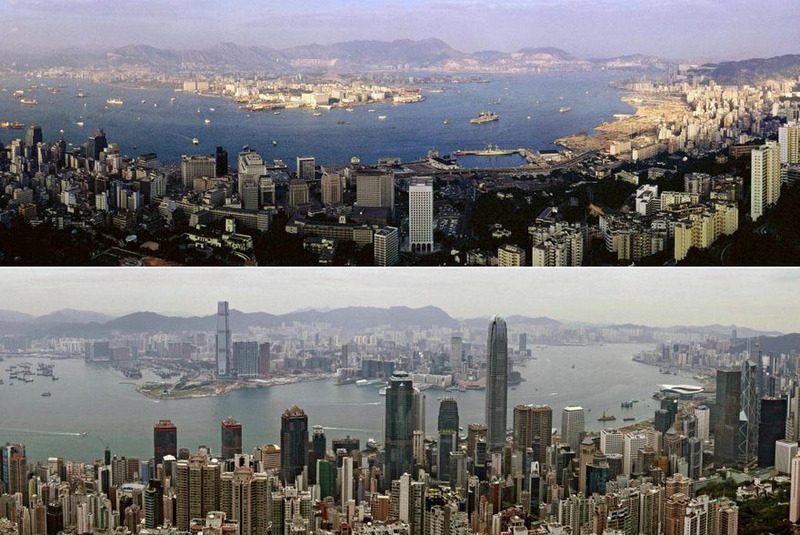 Hong Kong harbour in 1971 and 2015. 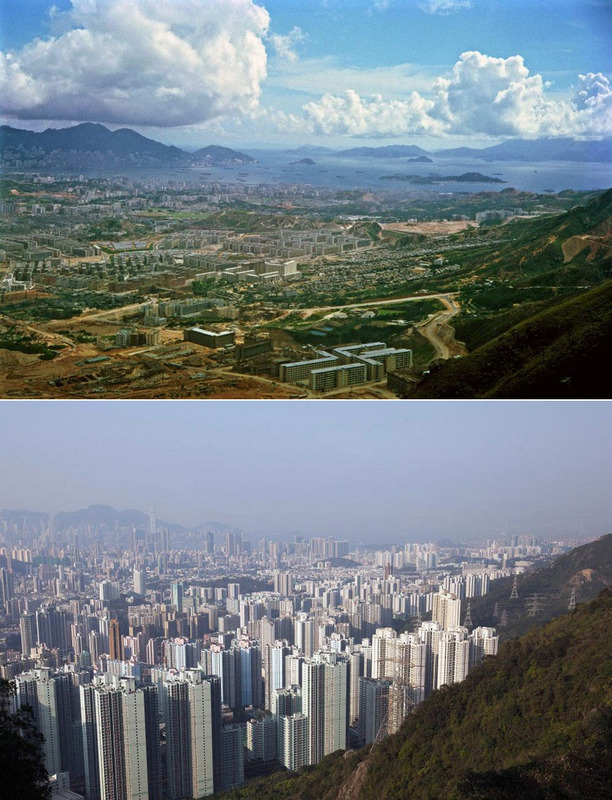 Hong Kong’s Kowloon peninsula, as seen from the peak of Fei Ngo Shan in 1964 and 2016. 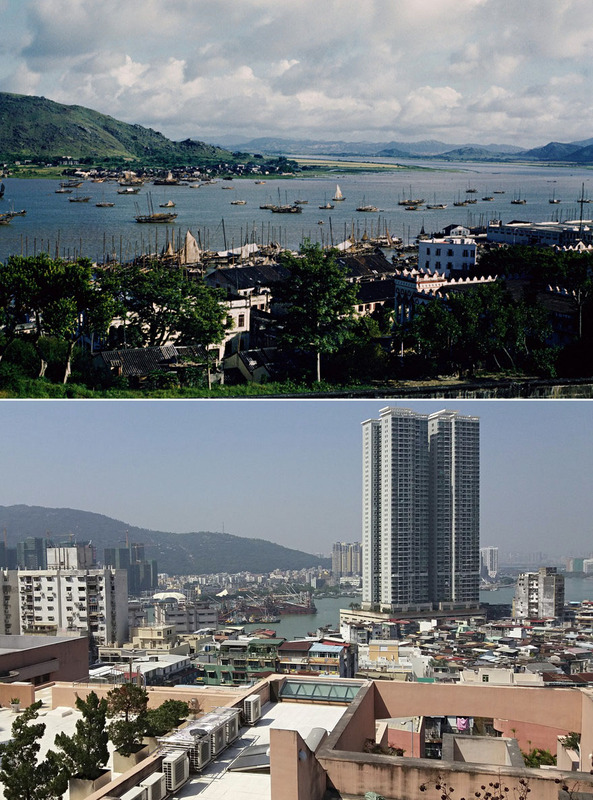 The photograph taken from Hong Kong’s Crest Hill in 1964 and 2015. 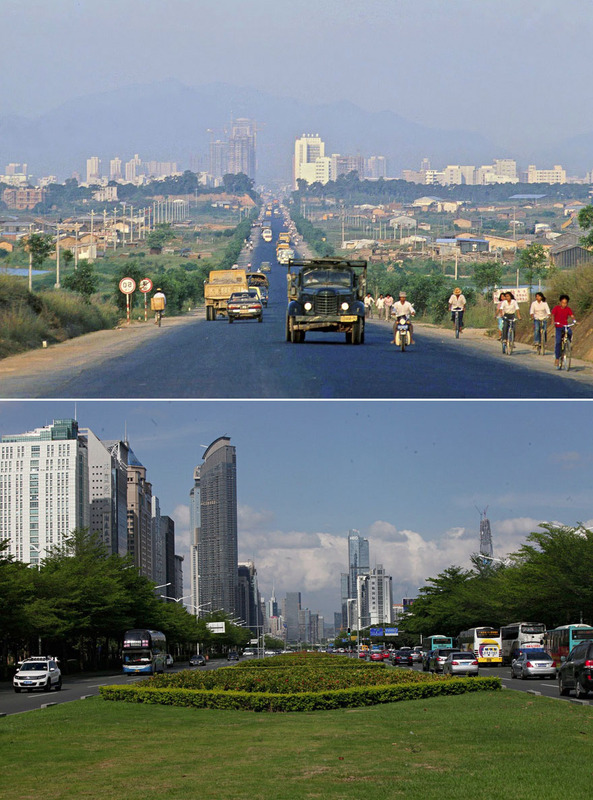 Shennan Road, a major east-west thoroughfare in Shenzhen, in 1985 and 2015. 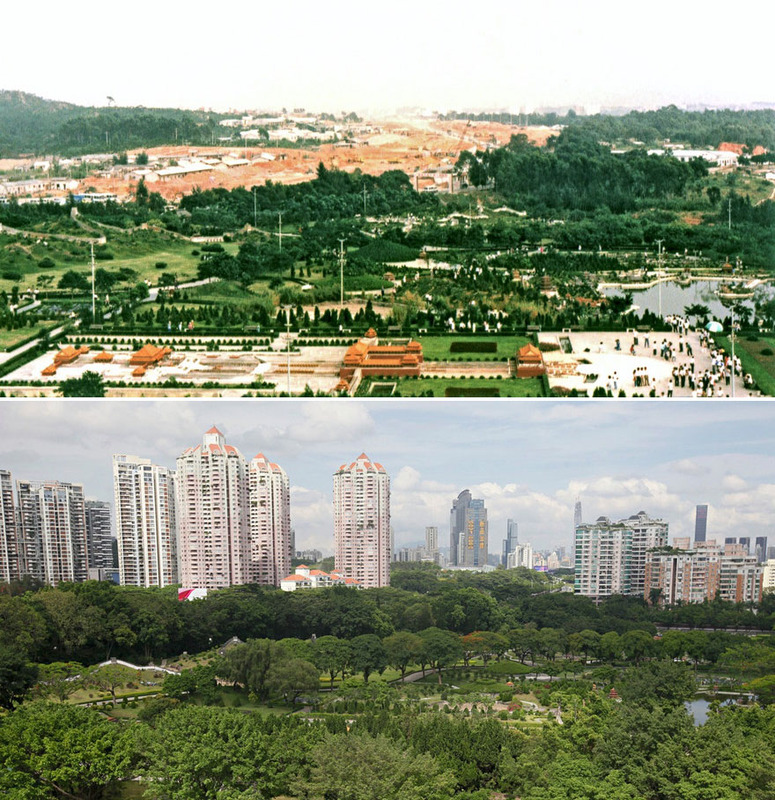 Shenzhen’s Splendid China Folk Village theme park in 1991 and 2015. 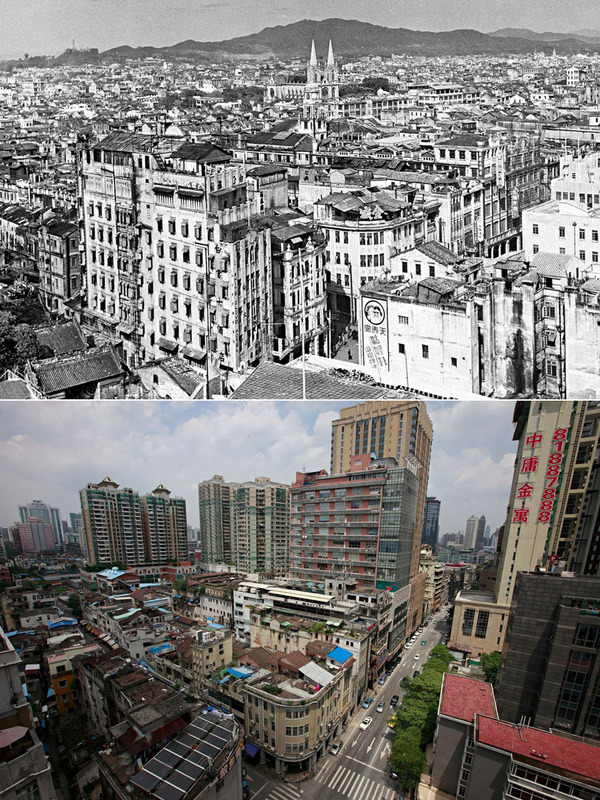 Guangzhou city centre in 1949 and 2015 (By 2015 the Roman Catholic church had been hidden by new towers). 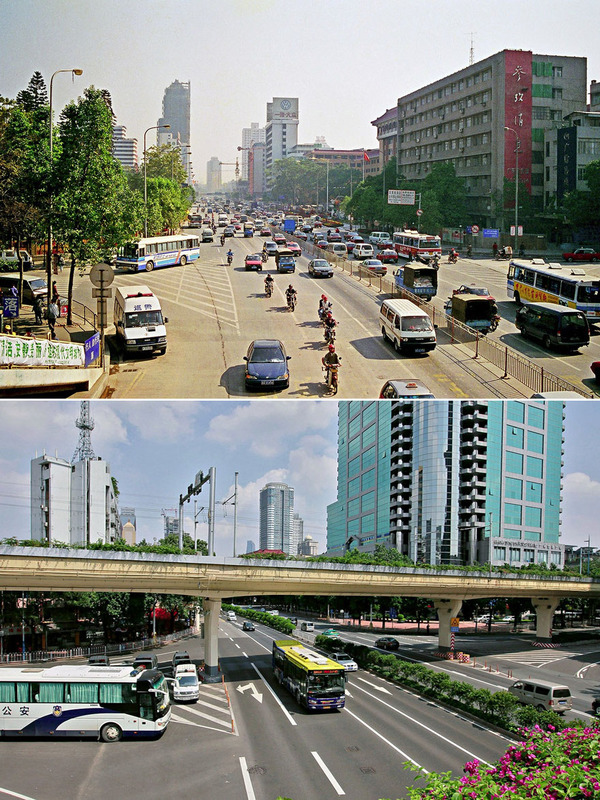 Guangzhou’s central Dongfeng Road in 1999 and 2015. 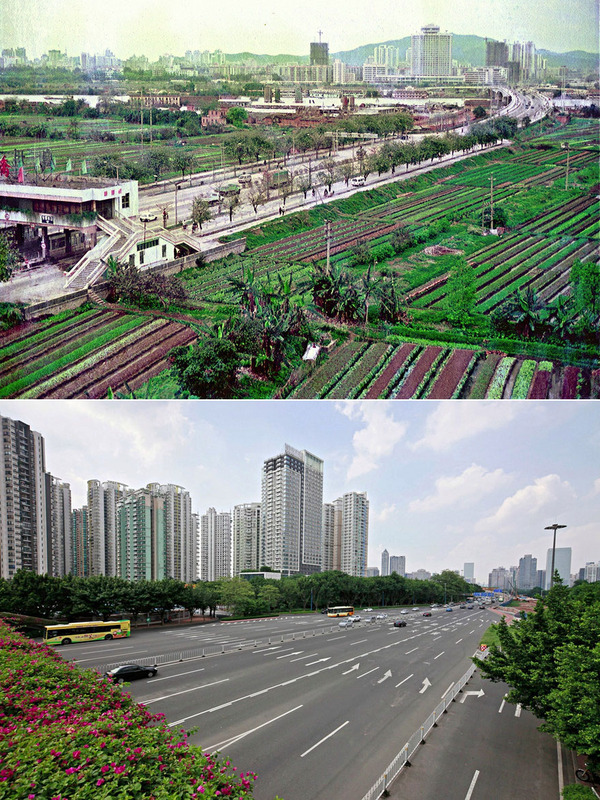 Guangzhou South Avenue, looking towards the river, in 1991 and 2015. Macau’s Governor Nobre de Carvalho bridge, with the rotunda of the Casino Lisboa seen on the waterfront just to the right, in 1991. The second image, from 2016, shows the giant Grand Lisboa hotel and casino skyscraper towering above. 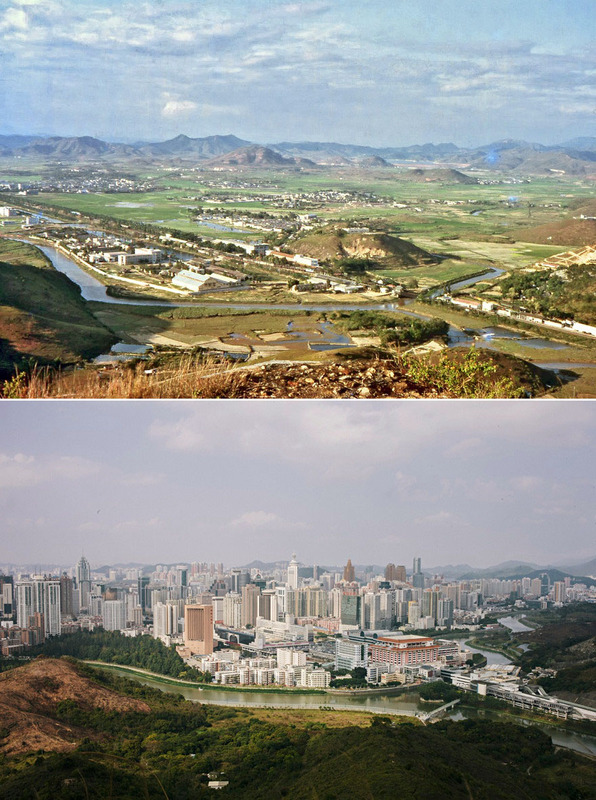 Macau’s coastline seen from Penha Hill in 1964 and 2016.